1. God isn’t mad at you. 2. God is for you, not against you. 3. God wants to bless you in every area of your life. And because He is good, He relates and responds to us based on His character, not our behavior. That’s good news… especially for someone like me. Pay close attention to the word “suffused.” It’s a great word. Everything God does is “suffused” – that means “overspread” with grace. You woke up this morning! That’s grace! You take a breath! That’s grace! A friend encourages you! That’s grace! Someone smiles at you! That’s grace! My grandson is happy to see me! That’s grace! You walk around or jog outside! That’s grace! You take your smart phone out and access your online version of God’s Word! That’s grace! You walk into church where someone who cares about you says, “Hello!” That’s grace! Every day — every moment — is filled with one gift of God’s unconditional, extravagant and amazing grace after another. Our God is a God of POWER! He has power over nature and circumstances. When seas and rivers needed to be crossed, He didn’t send a team of engineers to build a bridge, He just blasted a hole in the Red Sea and the Jordan River to bring His people out of danger and into their promise (Ex 14; Josh 3). When God’s people were hungry and needed food, God didn’t open up a McDonald’s or Chick-fil-A, He just dropped loads of manna on the nation of Israel or multiplied a few biscuits and sardines from a kid’s first century Happy Meal and fed a crowd of at least fifteen thousand (Ex 16; John 6). When Israel’s army needed more daylight to seal a military win over a coalition of Amorite kings, God didn’t send a container of flashlights with Duracell batteries, He just told Joshua to speak to the sun, “Sun stand still!” and somehow miraculously “the sun stopped in the middle of the sky” and God extended Daylight Savings Time and gave His people victory (Josh 10:12-14)! When a storm threatened to take the lives of the disciples, God didn’t send out the coast guard, He spoke to the storm and it immediately settled down (Mark 4:35-41). And, when Peter was put in jail and scheduled for execution by an evil dude named Herod, God didn’t send in Seal Team Six to bust Peter out of jail. He sent an angel — probably a first class private — who woke Peter up from a sound sleep and said, “Get up! Put some clothes on! We’re blowing this joint!” (Acts 12). It emphasizes both the QUANTITY of the prayer offered —they prayed a lot. This wasn’t a “one and done” prayer. They prayed CONSTANTLY! It also emphasizes the QUALITY of the prayer — it was focused, passionate and intense. This wasn’t an “I lay me down to sleep, pray the Lord my soul to keep” sort of prayer! The first century church was FOCUSED! “Focused on WHAT?” you might ask. I don’t believe they were focused on the problem. I believe they were focused on the character of God: He’s good — He’s not mad. He’s for us, not against us! He wants to bless us! Sometimes we get so focused on our PROBLEMS and our PAIN that we forget to focus on GOD! Instead of telling GOD about how BIG our PROBLEMS are, we may need to start telling our PROBLEMS how BIG our GOD is! The church was not only FOCUSED in prayer, but they were INTENSE! INTENSE PRAYER IS DESPERATE PRAYER! It’s prayer that doesn’t look to God as our LAST RESORT, but looks to God as our FIRST RESPONSE! It’s prayer that gets determined like Jacob and says, “I refuse to let you go until you bless me” (Gen 32:26-27). INTENSE PRAYER turns off the TV. Lets Netflix go on vacation. Gives up Talenti Salted Caramel Ice Cream… not because this stuff isn’t good, but because it wants God even MORE!!! Because it realizes that desperation and intensity are an INVITATION for God to show up and show out! When the church went into a season of intense intercession, God dispatched an angel to Peter’s prison cell! Chains fell off! Prison guards went into a daze. Prison doors flung open! Peter and an angel went on a prayer walk to Mary’s house, the mother of John Mark, and interrupted the church’s prayer gathering! I don’t know what circumstance or situation you’re facing, but I do know that our God has power over nature and circumstances! Maybe it’s your time to enter into a season of intense intercession. The goal of the Bible isn’t to give us more INFORMATION, but to produce more TRANSFORMATION. The most amazing thing about this is that God’s purpose in revealing Himself to us in Jesus, was not to give us a really neat set of rules, but to invite us into a DYNAMIC and PERSONAL relationship. Jesus is the true and better ADAM who passed the test in the garden and whose obedience gets credited to you and me. Jesus is the true and better ABEL. Even though he was innocent, he was slain. And now his blood that cries out, not for our condemnation, but for redemption. Jesus is the true and better ABRAHAM. He answered the call of God to leave all that was comfortable and familiar to come to earth so he could create a new people of God. Jesus is the true and better ISAAC who didn’t just go up the mountain with his father, but was actually sacrificed for us all. Jesus is the true and better JACOB who wrestled with God and took the blow of justice we deserved; so that we, like Jacob, could receive the wounds of grace that wake us up, discipline us and help us to become the prince or princess God had in mind when he created us! Jesus is the true and better JOSEPH who, at the right hand of the king, forgives those who betrayed and sold him and uses his new power to save and rescue them. Jesus is the true and better MOSES who stands in the gap between the people and God and mediates a new covenant. Jesus is the true and better Rock of Moses who, struck with the rod of God’s justice, now gives us water in our deserts. Jesus is the true and better JOB. He’s the truly innocent sufferer, who intercedes for and saves his stupid friends. Jesus is the true and better DAVID whose victory becomes our victory. Jesus is the true and better ESTHER who didn’t just risk leaving an earthly palace, but gave up the ultimate and heavenly one! He didn’t just risk his life, but gave his life to save his people. Jesus is the true and better DANIEL. He was lowered into the Lion’s Den of Death, but came out of “His Lion’s Den” three days later victorious and vindicated by God! Jesus is the true and better PASSOVER LAMB — innocent and perfect — slain so the angel of death will pass over us. Jesus is the true tabernacle, the true temple, the true prophet, the true priest, the true king, the true sacrifice, the true lamb, the true light, the true bread. The Bible isn’t about ME and it’s not about YOU! It’s all about JESUS!!!! In GENESIS Jesus is the “BREATH OF LIFE” and the “seed of woman” who will one day crush the head of the serpent (Gen 3:15). In EXODUS Jesus is the “PASSOVER LAMB” (Ex 12:13; Jn 1:29, 35). In LEVITICUS Jesus is our “GREAT HIGH PRIEST” and Eternal Sacrifice (Leviticus 16; Hebrews 9:26b, 28). In DEUTERONOMY, He is the PROPHET like Moses (Deut 18:15; 32:4). In Joshua, He is the captain of our SALVATION (Joshua 2:18) and the SCARLET THREAD hanging from RAHAB’s window. In JUDGES He is the Great JUDGE and LAWGIVER. In RUTH, He is our KINSMAN and REDEEMER (Ruth 3:9). In 1 SAMUEL He is our PROPHET, our KING and the CHAMPION who defeats our Goliath. In 2 SAMUEL He is the ANOINTED King. In 1 KINGS He is the WISE King. In 2 KINGS He is the REIGNING King. In 1 CHRONICLES He is the SOVEREIGN King. In 2 CHRONICLES He is the GLORY of the Lord that fills the temple of Solomon. In EZRA He is the faithful SCRIBE and the RESTORER of the temple. In NEHEMIAH He is the REBUILDER of the broken-down walls of human life. In ESTHER He is our Mordecai. He is the hidden TEACHER. In PROVERBS He is the “WISDOM OF GOD.” (Proverbs 8:35). In ECCLESIASTES He’s our only HOPE. In SONG OF SOLOMON He is our LOVER and BRIDEGROOM. He is the “rose of Sharon” and the “lily of the valley” (SOS 2:1). He’s the fairest of 10,000. In ISAIAH, He is the SUFFERING SERVANT and WONDERFUL COUNSELOR, MIGHTY GOD, EVERLASTING FATHER and PRINCE OF PEACE. (Isaiah 53:4-5; Isaiah 9:6). In JEREMIAH, He is RIGHTEOUS BRANCH. (Jeremiah 23:5-6). In LAMENTATIONS He is the WEEPING PROPHET. In EZEKIEL He is the SON OF MAN and the WIND that comes from the four corners of the earth resurrecting an entire valley of dry bones. In HOSEA He is our FAITHFUL and LOVING HUSBAND. In JOEL He is the BAPTIZER with the HOLY SPIRIT and the GOD who pours out the HOLY SPIRIT. In AMOS, He is the BURDEN BEARER and the ARMS that CARRY US. In OBADIAH, He is the MIGHTY TO SAVE. (Obadiah 1:17-21). In JONAH He is the GOD of the SECOND CHANCE – our FORGIVING GOD. In MICAH He is the MESSENGER with beautiful feet. In HABAKKUK He is the Great EVANGELIST crying out for REVIVAL! In ZEPHANIAH He is the RESTORER of the remnant and the GLORY of Israel (Zephaniah 3:15) and the GOD who SINGS over His people (3:17). In HAGGAI He is the CLEANSING FOUNTAIN and the God who RESTORES our lost heritage. In ZECHARIAH He is the PIERCED SON. And in MALACHI He is the SON OF RIGHTEOUSNESS who rises with HEALING in His wings. (Malachi 4:2). That’s just the Old Testament. Here’s the New Testament. In JOHN He is the SON OF GOD and the WORD made flesh. In ROMANS He is our JUSTIFIER who frees us from all condemnation. He is the GRACE OF GOD. In 1 CORINTHIANS He is the last ADAM. In EPHESIANS He is our glorious treasure. In COLOSSIANS He is the FULLNESS of the Godhead in bodily form. In PHILEMON He is a FRIEND who sticks closer than a brother. In HEBREWS He is the BLOOD of the New Covenant that cleanses us from all our sin. He is the same yesterday, today and forever. In 1, 2 and 3 JOHN He is EVERLASTING LOVE. That’s it!!! This entire book is about Him! It all points to Jesus! The Bible mattered to Jesus and it’s got to matter to us. He’s the central theme. The goal of the Bible isn’t to give us more INFORMATION, but to produce more TRANSFORMATION. Jesus believed that the Bible is infallible, trustworthy, sure, indestructible and reliable. Not only that, Jesus DEPENDED ON GOD’S WORD to overcome the evil one! When Jesus squared off against Satan during the wilderness temptation, each time the evil one came at him with a temptation or proposition, Jesus didn’t simply stand on His own authority, though He could do that! After all, He was and is the Son of God… But He didn’t do that! …a steady stream of words from God’s mouth. Jesus not only believed that the Bible matters… Jesus depended on God’s Word to overcome and defeat the evil one. His heart and mind were so washed in the Word that He was able to see THROUGH the DECEPTION of the evil one and deal directly with it! Jesus believed that the Bible is the last Word and the final authority. We believe that the Bible is the last Word and the final authority – not our feelings or our emotions. Not our CIRCUMSTANCES or a particular SITUATION or EXPERIENCE. Not CULTURE or CONVENTIONAL WISDOM. God has given us His Word! He gave us this book! The greatest battle you will fight is the battle you fight in your mind. But the Word of God renews our mind and reminds us that God’s Word is the final and last Word! If the Bible matters to Jesus, shouldn’t it matter to you and me? If God cared enough to make certain we got a copy of this book, shouldn’t we make reading it and obeying it a priority? • READ it in a translation you can understand. 1. Is there a sin I need to confess? 2. A promise for me to claim? 3. An example for me to follow? 4. A command I need to obey? 5) Anything I need to be thankful for today? JESUS is the central theme of the story of the BIBLE. Every story whispers His name! The Bible is the story of Jesus! The entire Bible was given so that we could know Jesus, love Jesus and live for Jesus. From the opening chapters of Genesis, to the closing chapter of Revelation, the story of Jesus is being told in this book. Join us tomorrow to see how Jesus is in EVERY book of the Bible. Have you ever heard someone say, “I love Jesus, but not the Bible”? Sometimes I think I know what are people saying when they say that, and sometimes I’m not so sure. I don’t know about you, but that wouldn’t go over well in my home. That kind of attitude doesn’t describe a healthy relationship. When people say, “I love Jesus, but not the Bible,” it kind of feels the same! It sounds like these people “love” Jesus, just not when He talks! They love the “idea” of Jesus, but they don’t want a God that actually speaks and has an opinion. That sounds a whole lot like, “I love my spouse, but not when she talks…” And I don’t think that JIVES with God. Matthew 5:17-20 is one of the most important sections in the Sermon On The Mount. If you get this, everything else starts to come together. If you miss this, everything else becomes an uphill battle. When Jesus tells us something, we should pay attention, right? Well, when Jesus tells us the Bible mattered to Him, it’s got to matter to us! He’s the central theme. The goal of the Bible isn’t to give us more INFORMATION, but to produce more TRANSFORMATION. Because Jesus wasn’t neutral when it came to the Bible, He had some pretty radical beliefs about the Word of God. When Jesus talked about “…the Law and the prophets…” He was specifically talking about the Old Testament. The “Law” refers to the first five books of the Bible. Jewish people call it the Torah. The “prophets” refers to the rest of the Old Testament. The word “abolish” means, demolish, tear apart, tear down, dismantle, destroy or to set aside as of no value. We’ll talk more about “fulfill” in just a moment, but right now, it’s critical to note that Jesus had a HIGH VIEW of the Bible. “…until heaven and earth disappear…” — Until the end of time! In the Hebrew, the smallest letter is “yod” or “yodh” and it’s about the size of an apostrophe. “…not the least stroke of a pen…"
The “stroke of a pen” refers to a serif, a minute mark at the end of a Hebrew letter. It’s not even the whole letter, it’s just a mark that’s part of the letter. Here’s what Jesus said about the dependability, reliability, relevance, authority and permanence of the Word of God. According to Jesus, not only are the words in the Bible reliable and true, you can even count on the smallest letter and most minute mark! It’s all reliable, dependable, permanent and authoritative! In the four verses we just read (Matthew 5:17-20), Jesus lets us know exactly what he thinks about the Bible. He affirmed that He believed it’s infallible — it’s without error and absolutely trustworthy and sure. He believed that the Word of God is indestructible. It will never be destroyed. He believed it was reliable. Sometimes we struggle with what we believe about the Bible, but you need to know Jesus was “ALL IN” when it came to the Word of God. He believed that people like Adam, Eve, Noah and Jonah were actual, historical figures. He believed that the Bible could be trusted. For instance, He talked about Adam and Eve (Matt 19:4-5). He talked about Abel and Zechariah (Lk 11:51). He referenced Noah (Matt 24:37-38), Abraham (Jn 8:56), Sodom and Gomorrah (Matt 10:15, 11:23-24), Lot (Lk 17:23-32), Isaac and Jacob (Matt 8:11), the manna Israel ate in the wilderness (Jn 6:31), and the serpent Moses raised on a pole (Jn 3:14). Jesus talked about David (Matt 22:43), Solomon (Matt 6:29, 12:42), Elijah (Lk 4:25-26), Elisha (Lk 4:27), Jonah (Matt 12:39-41), and Moses (Matt 8:4). And when Jesus talked about all of these places and people there was never the slightest hint or indication that He questioned their actuality or historicity. He talked about them like they were straight-up, straight-forward, historical fact! If Jesus believed these people were historical, I believe they are historical! If He believed the Bible can be trusted, I believe it can be trusted! Why? Because any “man” who can predict His own DEATH, BURIAL and ultimate RESURRECTION, and then, PULL IT OFF; then I’M GOING WITH ANYTHING that guy SAYS! Come back tomorrow as we continue this blog series. What can fill up an entire room without taking up any space? You guessed it! The answer is LIGHT. If Jesus says, “You, beloved, are the light of the world…” then we ought to pay close attention to what that means! 1. SIGHT is directly tied to LIGHT. Without LIGHT, there is no SIGHT. In other words, light makes vision possible. It makes stuff visible. Sight is an incredible miracle! It’s a miracle based on light traveling from the outside world at around 186,000 miles per second. It travels through space and when it becomes visible to you, it first reaches your cornea, that clear layer in your eye that’s in charge of most of the focusing power of your eye. 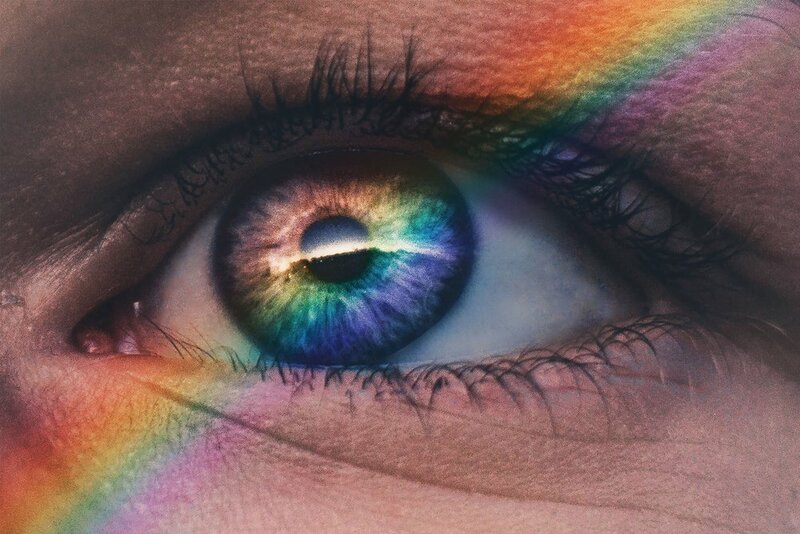 The amount of light that enters your eye is controlled by something called the iris – a muscle in your eye that constricts or dilates depending on the surrounding light conditions. Light continues to travel until it finally reaches the retina in your eye that’s in charge of transforming light energy from the outside world into chemical and electrical energy that gets transmitted through the nerve in your eye to the brain and so on. SIGHT an incredible miracle! The design of the eye points to the existence of a supreme designer. Sight is an incredible mircle! In Matthew 5:14-16, Jesus indicated when an individual or a group of people determine that they’re going to live a life in the presence of God and under the rule, reign, power and will of God... When an individual determines that he or she is going to live "in the kingdom of God." When a person starts living out the Beatitudes (Matthew 5:3-12), that person or group of people are not only going to be "salt," but they will be "LIGHT." They'll make God VISIBLE to a watching world. The Voice Translation says we will “ILLUMINE CREATION”. We'll give people a glimpse of what God had in mind when He created PEOPLE, when He designed RELATIONSHIPS, when He dreamed up MARRIAGE, when He thought of FAMILY, when He created LOVE, COMPASSION, GOODNESS, KINDNESS and BEAUTY! 2. Light always dispels DARKNESS. Always. Light always has an IMPACT. Just a little light can make a huge DIFFERENCE. Wherever you go, wherever you are, you carry LIGHT and light in the Bible is always a symbol of the PRESENCE OF GOD. From the beginning, the moment God shows up light shows up and it starts driving back the darkness. In the Bible, darkness is often a symbol of death, powerlessness, deceit, destruction, sin and condemnation. But light, on the other hand, is a symbol of LIFE, POWER, TRUTH, GUIDANCE, HOLINESS, GLORY and the PRESENCE OF GOD. Sometimes people get upset because this world is so dark. You’re right! It is dark! But when Jesus said, “You are the light of the world,” those were our marching orders! These are our marching orders! Be light! Shine! You've never encountered darkness that cannot be overwhelmed and overcome with light. When it's light versus darkness, LIGHT WINS every time! 3. It ONLY takes a little LIGHT to make a BIG DIFFERENCE. Judges 6-7 contains an incredible story about Gideon and an army of only 300 men overcoming an army of approximately 120,000 Midianites. Gideon's army was anything but conventional. Instead of being equipped with weapons, they surrounded the camp of the Midianites armed with only rams horns, and blazing torches covered by clay jars. But at Gideon's signal the 300 men blew their rams horns, smashed the clay jars revealing the blazing torches inside and just a little bit of light made a big difference! God gave 300 Israel victory over an army of 120,000. NOTICE! It was only when the clay jars were BROKEN that the LIGHT could shine through! God is constanly looking for people who are willing to be BROKEN so that the LIGHT of HIS GLORY and GRACE can SHINE through. Paul had to have the story of Gideon in mind when he wrote these words in 2 Corinthians 4:6-7. Paul’s point: we are FRAGILE CLAY JARS! The Gospel of Jesus and presence of God are a BLAZING TORCH! 4. I’m not the SOURCE of the light. GOD is! When it comes to you and me being “the light of the world,” it’s important to remember that we’re not the source, God is. I love that! That’s God plan for every person who follows Jesus! We’re familiar with people who start off with a bang and then fizzle or burn out! It happens with diets, exercise plans, budgets and even in our relationship with God. But God’s plan is for people to be SET ON FIRE. Pardon the expression, but it’s for people to “get lit”. Not in the way that leads to regret and shame, heartache, heartbreak and addiction; but to allow the light of God to so ILLUMINATE our lives that we become set on fire and for the rest of our lives get BRIGHTER and BRIGHTER and SALTIER and SALTIER the longer we walk with Jesus. Based on Matthew 5:13-16, I think this might be a good theme for a2 Church: Stay Salty. Get Lit. Matthew 5 contains two incredible metaphors that give us a SIMPLE PLAN for making a BIG DIFFERENCE! The first metaphor is described in Matthew 5:13. In Matthew 5:13-16 Jesus gives us a glimpse of the nature of a life lived in the "kingdom of God" — a life lived in the "range of God's effective will, where what God wants done gets done" — and — a life lived "in the presence of God, and under the rule, reign and power of God." The Big Idea: "I was made to make a difference. A powerful and persuasive life that stays connected to people always has an influence and makes an impact." Let's start with the last part of the "Big Idea" and work forward: 1. You were meant to have an INFLUENCE and make an IMPACT. Why would Jesus compare us to salt? There were at least eleven different uses for salt in the ancient world. In fact, salt had so many uses that it was highly valued. It was so valuable that the Romans sometimes paid their soldiers with salt. The word “salary” was actually derived from the word, “salt.” Historically, salt was used as a method of trade, currency and commerce. If you've ever heard the expression, "He's not worth his salt," this is where it came from. When a soldier was negligent in performing his duties, his commanding officer would say, "He's not worth his salt." In other words, "He hasn't done his job and shouldn't be paid." That’s why bars serve salty pretzels and peanuts free of charge. They’re not being generous. They want people to drink more. This is part of what it means to be "salt." When we begin to live the kind of life Jesus described in the Beatitudes... When we’re in tune and in step with the Holy Spirit, allowing the fruit of the Spirit to shape and form the quality of our lives... That kind of life is beautiful and compelling. It actually creates SPIRITUAL THIRST in the people around us. Here's a question I've been asking myself: Are you making people thirsty? When we rub shoulders with people… when we spend time with people — on the job, at work, in our homes, with our roommates, family and friends — do people walk away thirsty for more of Jesus? Recently, when I was meditating on this verse it occurred to me that we almost always think about this verse in the context of ministry, outreach, evangelism or some kind of ministry activity. That's not bad, but I think Jesus had more in mind than some seasonal evangelistic campaign. He was thinking about daily life! Salt was and is a household item. It was and is something people interacted with daily. With that in mind, being "salt" is about the way we live in our home. It’s about the way we do our jobs. It’s about how we interact with our friends at school. It’s about how we love our spouse and kids. So, here's the question again: Are you making people thirsty? Salt adds FLAVOR and enhances the TASTE OF FOOD. When we eat anything that tastes a little bland, we instinctively read for salt to enhance its flavor. That’s one of the things salt does. It makes salty stuff taste better and it even makes sweet stuff taste better. If you don't believe me, try Talenti Sea Salt Caramel ice cream and you will become a believer! Wow! You may want to read that again! In other words, when we live out our faith with the beauty described in the Beatitudes... When our lives are formed by things like humility, authenticity, integrity and peace... When we live our lives in vital relationship with Jesus and the Holy Spirit, we make the gospel ATTRACTIVE! We enhance its flavor! The same thing is true with our lives. When we’re getting life right, our lives won’t make “US” look good, they’ll make JESUS look good! They’ll make the gospel compelling and attractive! We refrigerate our food to preserve it. But in the first century, they didn’t have that option. So, salt was rubbed on meat and fish to prevent them from spoiling. Salt prevented decay. It also purified. Salt was used as an antiseptic to kill germs. The application is powerful! When we're really in tune with Jesus and filled with the Holy Spirit, whenever we see infection, decay or deterioration; instead of running away from it, we will run to it! Because we’ve experienced GRACE, we know the power of grace and the gospel to TRANSFORM and REDEEM. We know that when God's grace touches dead things, they come back to life! When God's graces touches broken, decaying or deteriorating things, they experience restoration and renovation! Salt is an agent of HEALING. Do you realize that today people from around the world actually flock to the Dead Sea in the Middle East seeking relief from all kinds of physical ailments like chronic skin, respiratory and joint conditions? There are several minerals in the Dead Sea, but one of the main ingredients and healing properties in the Dead Sea is salt. It's an agent of HEALING. I believe one of the things Jesus was saying when he said, “You are the salt of the earth…” was that He wants us to be agents of His healing grace. He wants to use us to bring EMOTIONAL, RELATIONAL, PSYCHOLOGICAL, PHYSICAL and SPIRITUAL HEALING to the lives of the people He places in our lives. I love the commission Jesus gave His followers in Matthew 10:8. It reads like this in The Message. If you're a follower of Jesus, this is part of His calling and commission upon your life! Can you imagine what would happen if we began to take the healing power of the finished work of Jesus into every sphere and aspect of our lives? Can you imagine what would happen if we realized that God hasn't only commissioned and authorized a select few to be His agent, but that He has commissioned and authorized me and you? Jesus said, "You are the salt of the earth." It's time to live like it!